As a parent of a fast-growing 14 year old boy, I am seeking new things to do with him. Please leave a comment with your own suggestion(s). 1. Go to the library to borrow a movie, a music CD, and /or a video game that you can both enjoy together this week. 2. Make a decadent dessert – Rice Krispy treats, cookies, brownies, cakes, pudding, sundaes, milkshakes, s’mores. 4. Make a picture collage of family photos and magazine clippings. There are some excellent digital apps for that too. 7. Host a sleepover with their favorite friend(s) and make their favorite foods. 8. Go sledding with several family members and neighbors. 9. Frisbee. Frisbee golf. Ultimate Frisbee. 10. Email each other funny videos and great music clips. 11. Visit an exotic car dealership or auto museum. 20. Plan a vacation together – then GO! 27. Experiment with a deep fryer – cheese, ravioli, shrimp, French fries, Twinkies…. 29. Go to the state fair, county fair, or any carnival with some relatives, neighbors, or friends. 39. Make a collage out of photos and/or clippings of their favorite things. Frame it. 40. Go to a demolition derby, horse race, air show, or anything out of the ordinary. 41. Make a list of things you want to do together in the future! This list is an adaptation of a larger list from Heidi, a guest blogger on Inspired to Action. The original list is geared for very young children. 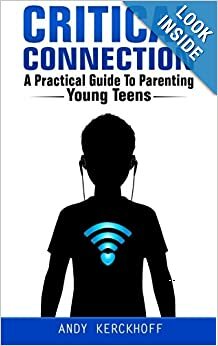 It’s a great list, but I have adapted it for the parents of older kids (10-15). I have a 14 year old boy, and our activities have changed a great deal in the last five years. -Build card houses with decks of cards and then knock them down. – Burn stuff with a magnifying glass using just the hot sun. – Wash the car and let them do the windows and hubcaps using Windex, then head to a gas station and use the powerful vacuum. And while you’re there, teach them how to pump gas. Drive to a small town local cafe for breakfast.